The victory of Emmanuel Macron in the French Presidential election has generated a mix of jubilation among pro-EU groups and future far-right opposition. “Through this historic and massive result, the French have highlighted the patriotic and republican alliance as the new President’s main opposition. 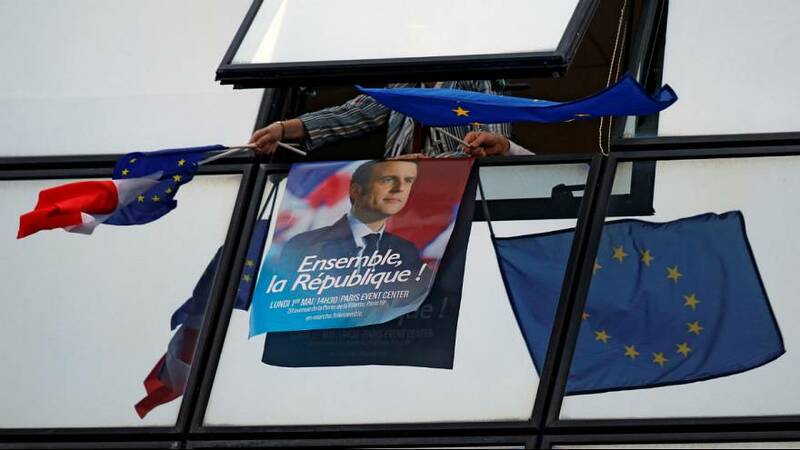 The political parties which took the responsibility of electing M. Macron discredited themselves and have lost their legitimacy in claiming to represent forces for change or credible opposition”. “Your victory is a victory for a strong united Europe and for German-French friendship”. Félicitations à EmmanuelMacron, aux français qui ont choisi la Liberté, l'Egalité et la Fraternité et dit non à la tyrannie des "fake-news"
“Congratulations to French people for choosing Liberty, Equality and Fraternity over tyranny of fake news”. “I am delighted that the ideas you defended of a strong and progressive Europe, which protects all its citizens, will be those that you will carry into your presidency in the debate about the history of Europe”. I warmly congratulate EmmanuelMacron on his success and look forward to working with him on a wide range of shared priorities. “France is our closest allies and we look forward to working with the new President on a wide range of shared policies”. 'EmmanuelMacron offers 5 more years of failure, power to the EU and open borders. If MLP_officiel sticks in there, she can win in 2022. “Macron offers five more years of failure, more power to the EU and a continuation of open borders. If Marine sticks in there, she can win in 2022”. “Congratulations to Emmanuel Macron on his big win today as the next President of France. I look very much forward to working with him”.